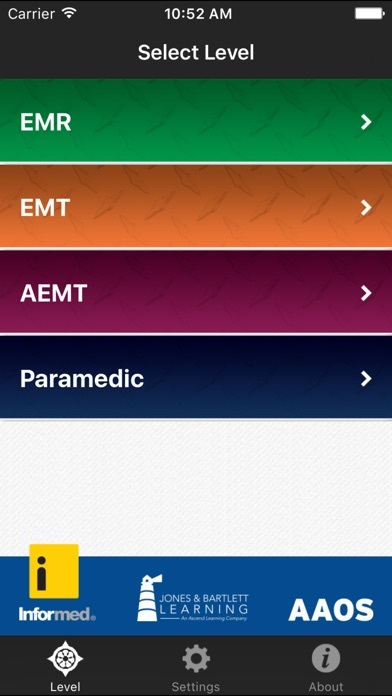 FireFighter/EMT FOR MORE INFORMATION Informed Publishing, a division of Jones & Bartlett Learning, provides first responders and health care providers with instant access to vital information just when they need it most. Jones & Bartlett Learning is a world-leading provider of instructional, assessment, and learning-performance management solutions for the secondary, post-secondary, and professional markets. Learn more about us at www.jblearning.com. SUPPORT For questions, comments, or suggestions concerning this app, please contact support@jblearning.com. *this is not an emotional response to failing any exam, I passed and am working as a medic* Most of the content was incorrect, worded poorly and in no way will prepare you for any test. I could’ve bought some pretty good beer, but instead I’m sitting here, writing this review, completely and utterly disappointed. Spend your money on something else, ANYTHING else. I decided NOT to purchase additional questions after encountering several grammatical and typographical errors in the practice questions. It seems odd that an app connected to a textbook publisher failed to hire a proofreader. When developers try to charge $$$ for in-app purchases, they should strive to provide the user with a high quality product. I downloaded the app a few days ago then last night I decided to pay for the contents, which I was charged for. Ever since buying the contents when I open the app it only stays open for about 2-3 seconds then closes completely out. I called customer service and they told me to delete the app and then to reinstall it. I did this numerous time with no success and I told the gentleman I was talking with that that did not work, his response was, “well that’s all I can tell you to do”. Terrible customer service and I have paid for something that I can not use. 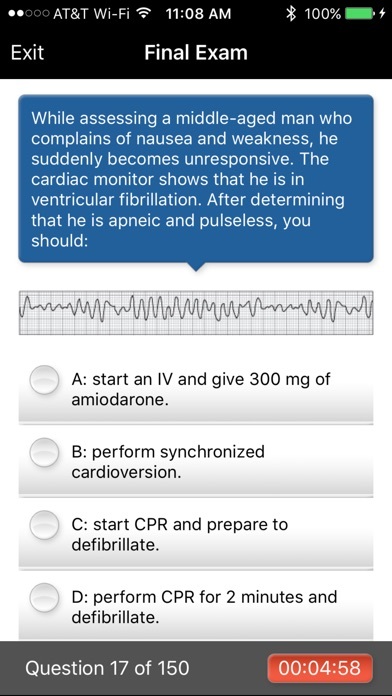 I am very disappointed and I will not be recommending this app to anyone in my paramedic class. This app is great for on the go and it does not require cell service or wifi to work. 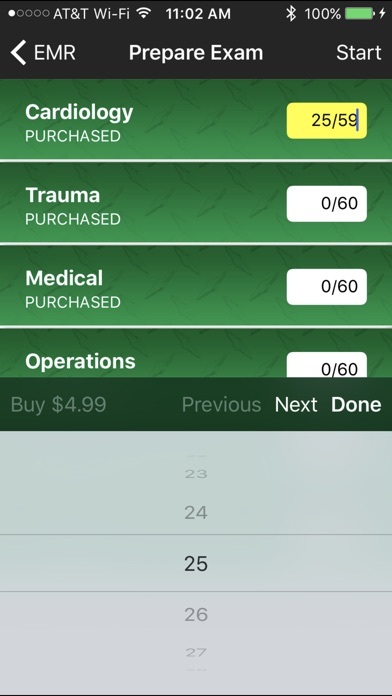 You will have to use the in-app purchases to get all the practice test questions. 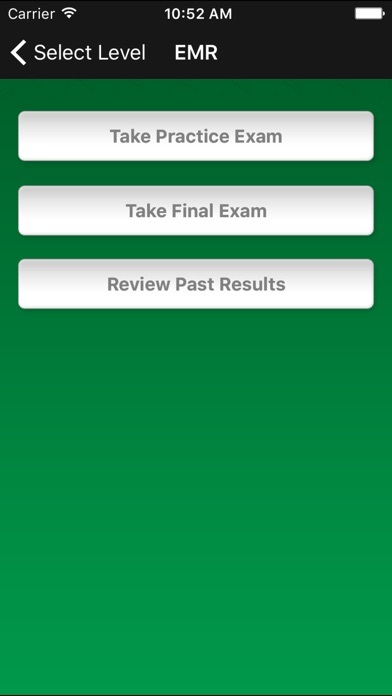 The app is almost identical to the JBL website in regards to building your own practice test with instant feedback and the practice final exam. The only problem ive come across is that some of the answers to the questions are wrong. The correct answer will be marked wrong with a different answer highlighted as correct. Also, a feature should be added that makes it so you can build a test based on all the question you answered wrong. I downloaded the app to itunes on my computer because I have a droid. It won't open at all unless you download it on an apple product. This is crap and you need one that's universal for droids. It's great for prep. My problem is JBlearning charging the crap outta you for the questions after 1..you've already paid for them gotten a new phone and re-login it always shows an error message of no connectivity, has been like this for the last 2 yrs. Or when you already have a JB learning account and it still says the same, no matter what you're having to purchase the questions repeatedly. Commentary is worth the price alone! 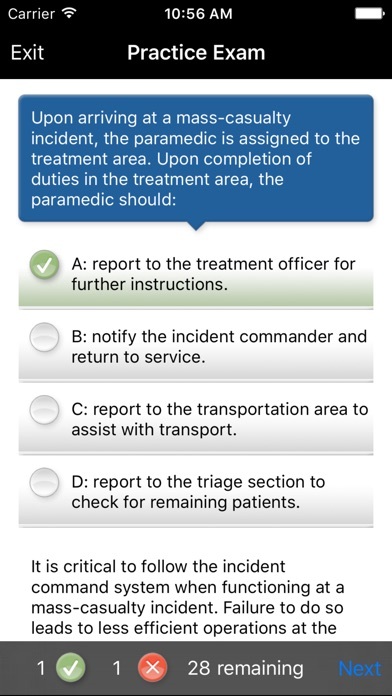 The author of the questions was one of my Paramedic preceptors. He truly cares about the education of EMS professionals. The questions are very well written, and you can tell a lot of time and effort was expended to create them. However, the real value comes from the commentary he provides in the rational for the answer to every question. He thoroughly explains why an answer is right, and why the other options are wrong. First of all, I will say that the questions are top notch, and the explanations are fantastic. I would recommend this app just on this premise. My only complaint is the app itself. It works fine while you are in it, but as soon as you leave the app, even for a moment, it locks up solid and you have to start over. I have several friends and students who use the app, and they have the same problem. The app needs to be seriously updated. So I say download it. You won't be sorry with the questions, and it will help you pass your test. I just wish a big education company like JB learning would fix a simple app problem for the benefit of us all.